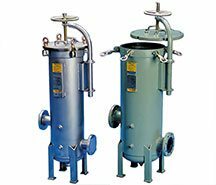 AFF offers filter bag housings in many sizes and configurations. They are manufactured from carbon, stainless and aluminum. Please contact us with your requirements and we will provide you with the highest quality units available.